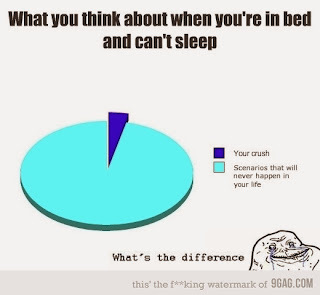 This is so true to me(I don't know others) because when I can't sleep or before I sleep, when just laying in my bed, many things pops in my mind and I can't help stop imagining things and thoughts that will not happen. Sometimes it take me hours before I can sleep and stop those imaginations. FYI I'm not taking drugs, LOL! Comment below if you can relate to this. 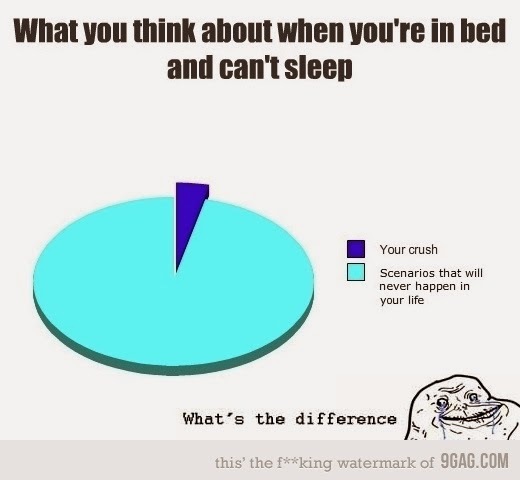 Anyways, the picture is from 9GAG.com, really funny website full of funny pictures.